A single glass door above and a wooden one below create a cozy feel in our petite Westland Corner China Hutch, which is Amish handmade just for you. 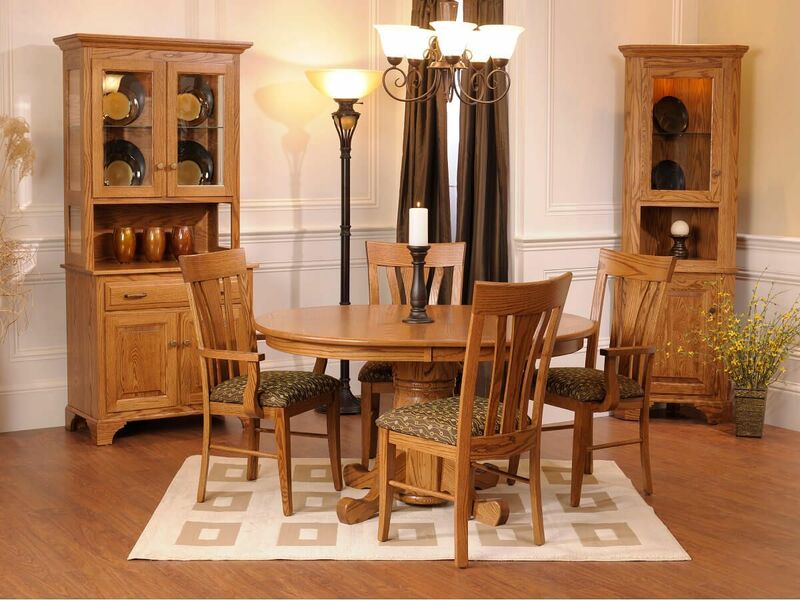 Solid wood construction makes your Westland Corner China Hutch heirloom worthy. Small in stature, this traditional china cabinet is perfect for your breakfast nook, eat in kitchen, or small dining room. Shown in Oak, you may order your display case in a variety of wood and stain combinations. A touch light system is included as a standard feature. Make your selections and our craftsmen will make your Westland Corner China Hutch to order. To order as pictured, select Country Road as your wood finish, or request samples to view at home.